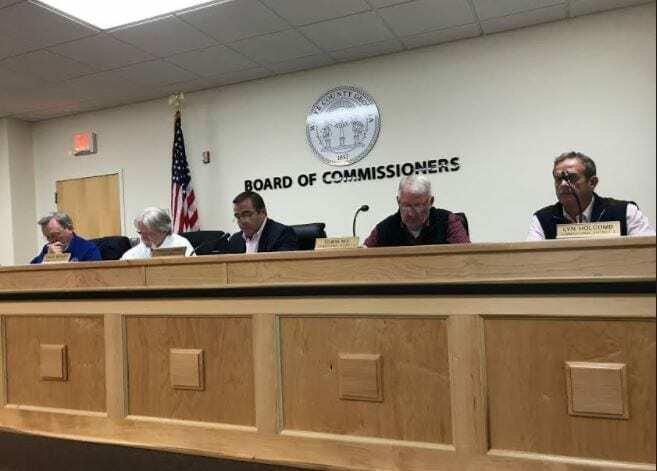 CLEVELAND, Ga. – After a weekend that saw several inches of snow fall in the mountainous areas of White County, numerous power outages and hazardous driving conditions, it is back to business as usual Monday when the Board of Commissioners holds a called meeting starting at 4:30 p.m. in the Administration Building. Commissioners will consider approval of the 2018 Local Maintenance Improvement Grant (LMIG) through the Georgia Department of Transportation for the Town Creek rehabilitation project. Spring road projects also will be a top priority at Monday’s meeting. 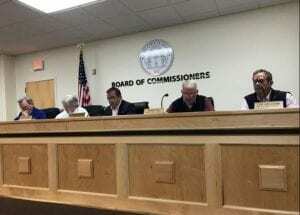 Commissioners will consider awarding bids for work on Sam Craven Road and Joe Franklin Road, cost adjustments for paving bids on Sam Craven, Stanley Nix, Joe Franklin and Mauldin roads and a change order for the contract with Square Deal Enterprises, Inc. for the Carolina Springs Road project. Commissioners also will consider awarding bids for the purchase of a dump truck and crew truck for the county road department. The senior center has requested commissioners consider making improvements to the facility’s parking areas. Revisions to the development fee structure will be discussed along with approval of a contract with the Georgia Mountains Regional Commission (GMRC) for orthophotography.